Over 28,000 people are fortunate to call Benicia home, where schools are ranked high in the state, the crime rate is very low, and cool breezes off the Carquinez Strait keeps the weather near perfect with an average temperature of 69 degrees. Benicia’s waterfront location serves as a gateway between the Sacramento Delta’s inland waterways and the San Francisco Bay. The Benicia Industrial Park (BIP) is located adjacent to Interstate 680. This Industrial Park is Solano County’s oldest and largest, with over 3,000 acres of land and seven million square feet of built space. The BIP is also the largest port-related industrial park in Northern California. Two major interstate freeways provide easy access to the Bay Area and beyond. 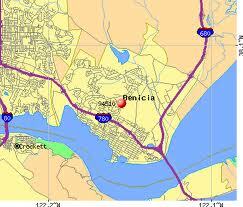 Benicia is located at the junction of Interstate 680 and 780. North or Southbound, I-80 can be reached from Benicia traveling five miles west on I-780 or ±9 miles North on I-680. Benicia is home to the Port of Benicia, a privately owned and operated port. The port is 24 miles from the Golden Gate Bridge. The Port specializes in handling bulk products such as agricultural products and motor vehicles. There is direct Port access to I-680 and I-780 interstate freeways; Union Pacific Rail service, a dockside water depth of 38’ and a 2,400 lineal foot pier, allowing for large ocean freight vessels. transcontinental “piggyback” services (i.e., transporting loaded truck trailers on flat cars). Also, rail service is provided through siding and tie-ins at company facilities, affording direct service to rail cars.